You can’t get any “greener” than this fabulous lunch bag! Bamboo is the fastest growing plant on earth: a 60 foot cut takes only 59 days to re-grow and regenerates without replanting. And it thrives without herbicides and pesticides! 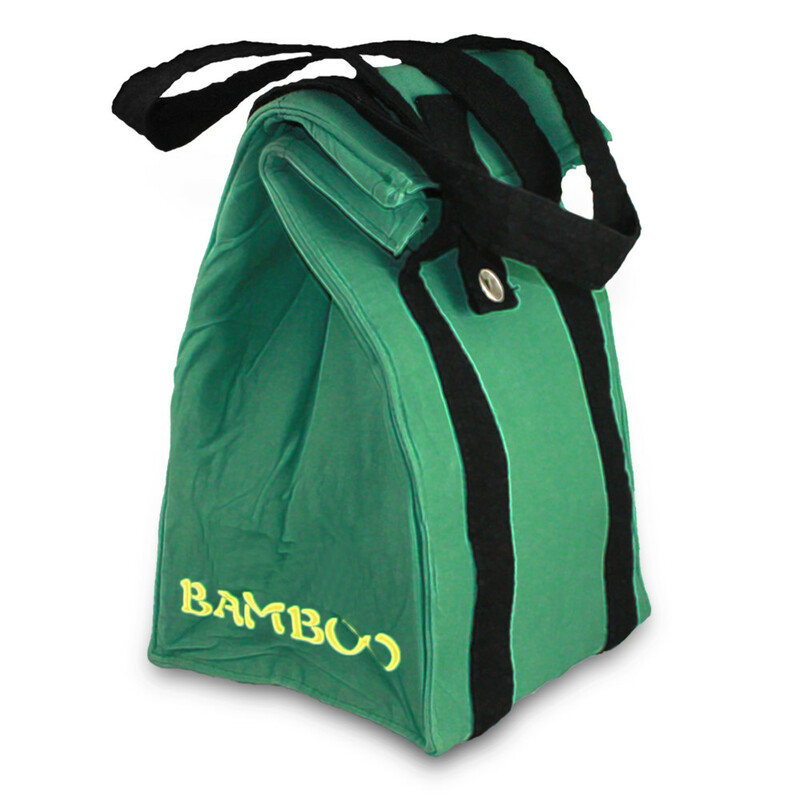 This will also be the strongest lunch bag you will own… bamboo has a tensile strength comparable to steel. Light as a feather. Strong as steel. Soft as silk. Fits 2-3 of our stainless steel food containers. Add Products Seriously Safe Stainless™ Steel Food Container or BpA-Free Bottle to complete your lunch.